When you’re looking for a home based business opportunity it’s a literal mind field when you turn to the internet. Yes, the internet does offer a lot of opportunity to make some real money, but you need to proceed with caution and have a basic understanding of how internet marketing works and whether you are falling into an internet marketing trap. Home Biz Advisors claims to offer 100% legitimate and proven opportunities to make money from the comfort of your own home. After reading that, I knew I had to take a closer look into what Home Biz Advisors offers and whether they are a scam or legitimate business opportunity. I hope you enjoy my Home Biz Advisors review, please leave me your thoughts or any questions at the bottom of the page and I will get back to you as soon as possible. You can also contact me in person through the “contact me page” here on this site. What Is Home Biz Advisors? When you first land on the Home Biz Advisors site you’re presented with some pretty large guarantees and claims of income potential. Home Biz Advisors claim that there are no special skills needed to make money through their offers, there’s no set hours, you start earning in just days, there will be no more commuting to work, you can choose to work part-time or full-time, and you always set your own income level. I can tell from years of working online as an internet marketer there is no such animal. Any outfit that makes these claims of almost instant income and setting your own income level is what I would call a red herring. What Home Biz Advisors are playing on are your emotions. Is it true that if you are successful online you could work from home, set your own hours or choose to work full or part-time, absolutely it is, but this does take training and a certain level of skill. The scary thing about Home Biz Advisors is your giving out your phone number which I never advise unless you like to get spam phone calls from everyone and their dogs. Once your phone number is out their it is basically an in for any outfit to contact you with, good or bad companies. What You Get After Signing up. Once you have signed up with Home Biz Advisors you’re directed through to a landing page with 3 potential money making opportunities that you can choose from. Turn-key paydays: These are opportunities that claim to help you earn money, while you learn to master internet marketing, problem is, where are you learning to master internet marketing, not here! There are legitimate programs that help you earn and learn internet marketing such as Wealthy Affiliate for example that offer a huge platform with no up selling and great support. Facebook on fire: This is an opportunity to make money using Facebook as your primary medium. Facebook requires content to stay relevant, and they will pay to have you help them do it. Couldn’t find any positive reviews on this offer! 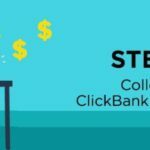 Internet Newbies: this is an outfit that pitches a “guaranteed” system that helped 3 internet newbies make almost $1000 in one day. This opportunity will share this secret system with you. 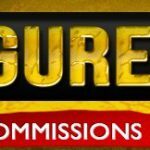 Just a heads up, there is no such thing as a guarantee on the internet when it comes to making money! What’s The Real Offer Here? Simply put, Home Biz Advisors is simply an affiliate marketing site where they make commissions by driving you, the traffic, to a merchants site and if you buy, receiving a commission. You know what this should be telling you? Affiliate marketing is the true online money making opportunity, not these other offers. Affiliate marketing is what makes the internet such as profitable place for online merchants. Affiliate marketers litter the internet, I am one myself and have been making money, good money for many years now as an affiliate marketer. Every year more and more merchants pile online and look for affiliate to promote their products. Merchants don’t pay out a single penny unless a sale is made, so they get free advertising and exposure for free, it’s a guaranteed sale for them, not like buying ad space somewhere. On the Home Biz Advisors site it’s quite obvious they are just an affiliate marketing outfit that has found a creative way to make some easy commissions. There is no training, or videos that come with Home Biz Advisors because they are simply redirecting traffic to their affiliate offers. This is really easy to do, anyone can become an affiliate marketer, all you need is a little training, a website and hosting and you are off and running. 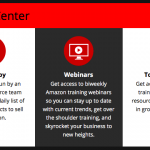 It costs about $50 a month for your site, hosting and training. The cool thing or enticing aspect of affiliate marketing is the ability to make unlimited amounts of income, it’s real and does work, I can attest to that! Who Should Use Home Biz Advisors? Obviously no one should use Home Biz Advisors, the offers they refer you to are just programs that litter the internet that really have very little if any chance of making you any significant amounts of income, not saying you couldn’t make something but all you need to do is look at what Home Biz Advisors is doing to see what online gig you should get into, this is where the real money is made. One of the offers is dubious to say the least, Click Cash System when visited redirects you to the 700 club. Income claims made by this outfit are very suspect especially if you have any experience online you will see right through their loft claims. $1000 a day by doing nothing really, not a chance! 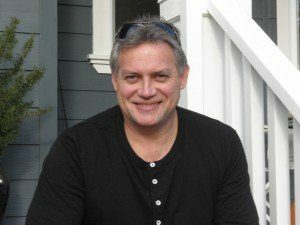 Even as an affiliate marketer it’s hard to make a $1000 a day unless you really put in the time, and you can’t let your foot off the gas, but it is doable with a lot of work. Facebook On Fire is another product promoted by HBA and once again it is another highly suspect offer. This outfits sales page is littered with exaggerations and fake testimonials that were bought from fiver for probably less than $10. All this with the intent to create a glossy environment so you will be sucked into paying their $47 membership fee. I have seen many offers like these that I would characterize as scams because they deliver very little to no value in comparison to what they actually claim. Unfortunately, Home Biz Advisors is not a real work-from-home opportunity. It’s a gateway for other businesses to grab interest and gain more traffic through to their opportunities, which will lead to more commissions for the owners of the Home Biz Advisors website. Reviews and the Better Business bureau don’t seem to be fans of the products offered on the Home Biz Advisors website so that might be the best reason to stay clear of this site and it’s offers. Read My Review Of The Program That Gave Me My Start Online HERE! Learn More About How You Can Get Started In Affiliate Marketing For FREE Here! 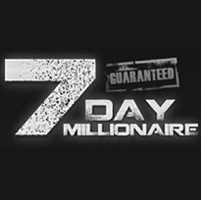 7 Day Millionaire Review- Is It A Binary Option Scam? 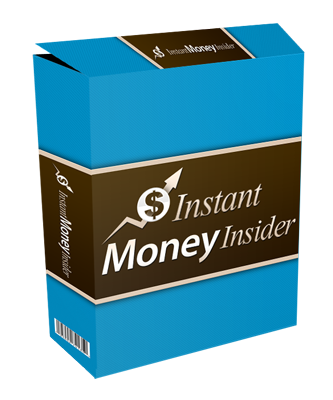 Instant Money Insider- Another Binary Scam?